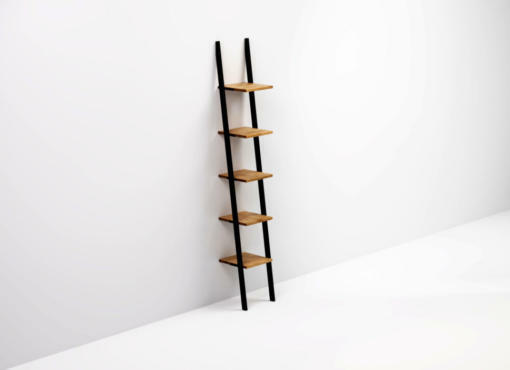 Desktop and shelf – 120 x 60 cm, 2 cm thick, specially selected, smooth solid oak wood. It has various shades, dark knots and bright lines running along and across the surface. Each product is made to order and therefore, depending on the batch of wood, it also has its own unique features, colour and wood grain. 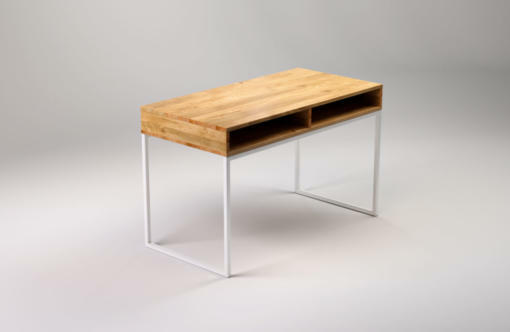 LIGHT SKRIVEN is a modern desk with straight, clear lines and simple, minimalist design. It’s made of solid oak wood and high quality steel. 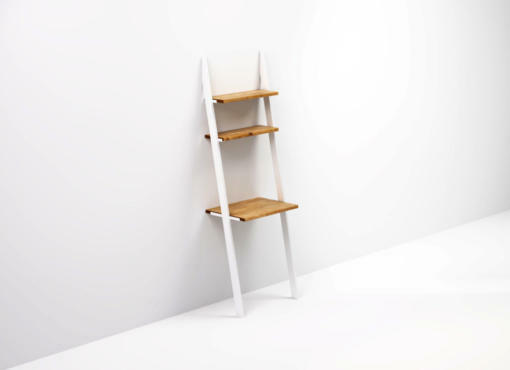 The metal frame, that make the base, is made of narrow steel sections, powder coated in white. 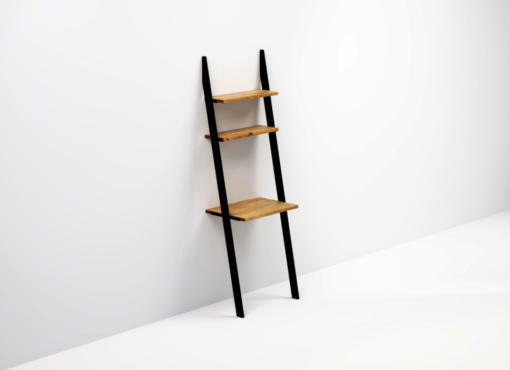 The steel structure is the backrest of a rectangular wooden top with two very practical shelves underneath. They can hold plenty of essential things and necessary items that you should always have at hand when working. They are also a good place to store your laptop or tablet when not in use. It makes it easy to keep your desktop tidy and provides comfort and good organisation of work. Elegant design and minimalist style make the furniture look great in every modern interior. It’s easy integrate it into your living room or bedroom creating a comfortable and aesthetically pleasing workplace at home. LIGHT SKRIVEN can be used in your home office and study as well as in the office or workplace. The desk is also available with the steel frame in black. Take a look at our LIGTH BLÄCK desk for more industrial look.